with shallou, EVAN GIIA, ford. You don’t know Jai Wolf like you think you do. After hundreds of millions of streams on astral- indie-dance anthems like “Indian Summer” and “Starlight,” blockbuster festival sets from Indio to India, and regular co-signs from the likes of Skrillex and ODESZA, it’s clear from the opening notes of Jai Wolf’s long-awaited debut album The Cure to Loneliness that he uses the expectations around his name as an opportunity to challenge convention. The Cure to Loneliness finds Jai Wolf completing his evolution from upstart bedroom remixer to future bass DJ to dream pop artist and builder of lush musical worlds. While still very much a dancefloor-focused endeavor, some tracks on the debut conjure the angular songs of The Strokes and Phoenix, while weaving melodies through the sugary happysad of M83 and CHVRCHES, and throw up walls of sound touched by Explosions in the Sky —all while maintaining the melodious polish and evocative groove to which fans around the world have grown so close. Born in Bangladesh, raised in New York City, inspired by everything from indie-punk to hip-hop, orchestral symphonies and the Bollywood classics of his parents, Jai Wolf’s life and music have been defined by a liminal quality that only a third culture kid could understand. It’s that quality that takes center stage on The Cure to Loneliness, as he slips between references to cultural moments with an ephemeral quality tinged with nostalgia. The sunny melodies and bombastic hooks bely subject matter that often ruminates on loneliness, distance, and a lack of place. This all converges to create an emotional complexity to the music that cuts deeper than the average festival fare. "I like writing songs that have a duality, a complexity of feeling that takes you to a melancholy, reflective space,” says Jai Wolf. “My music is for people who are desperately dreaming beyond where they are at right now—it can be the future, it can be the past. I want you to feel nostalgic. I want you to reflect on your life. I also want you to be inspired about where your life could go." Jai Wolf has taken an unconventional path to arrive at this point. It was Skrillex himself who plucked Jai Wolf from obscurity when he came across the then-fledgling bedroom producer's bootleg of "Ease My Mind" in 2014. But it was ‘Indian Summer” that propelled him to the stratosphere, racking up tens of millions of streams, a major GoPro ad campaign, appearing on American Idol, and even soundtracking Kobe Bryant's final basketball game in the NBA. The song made Jai Wolf a star, but creatively, he was already looking towards bigger and better things. The success of that song which leans more indie than EDM, was the catalyst to a major change in Jai Wolf's perspective. He decided to ditch the drops and focus on crafting songs with depth, meaning and melody. 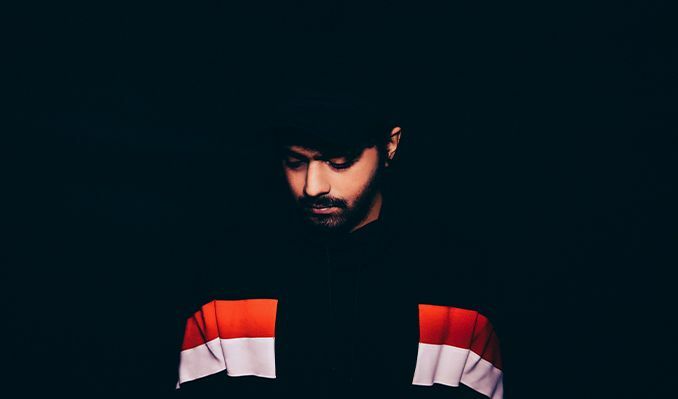 The result was the debut Kindred Spirits EP in 2016, a record that stunned critics (“Breathtaking, emotional” is how Billboard described it), and signaled the birth of Jai Wolf the songwriter, the live performer, the indie-tronic artist. The EP merged the sweet melodies of 80s synth-pop with the atmosphere and grandiosity of EDM, the intimacy and closeness of chillwave, and the thoughtful introspection of indie-rock. It's a busy brew, but an easy listen, and it was the sound of Jai Wolf finding his voice. It’s from that base that The Cure to Loneliness was crafted, a story of coming to terms with changing relationships, loss, and the rigors of touring the world. The creative release of writing the album and the deep connection Jai Wolf has forged with his worldwide fanbase has only strengthened his sense of mission. "I really want to make honest music that people can relate to and escape into. I don't want to make music that's just for the sake of being popular or trendy. I want people to really get lost in the world that I create," he says. The story of Jai Wolf so far is more than the hits, the packed dancefloors, or co-signs by mega-stars, there's a message within it. "I know that there are people out there who are feeling what I'm feeling," he says. "I would love for them to find a way to connect with that through my music." The fact that Jai Wolf never quite fit in used to be fuel for his daydreams, now it's what makes him one of the most exciting electronic artists of his generation.